Something for them and something for you! 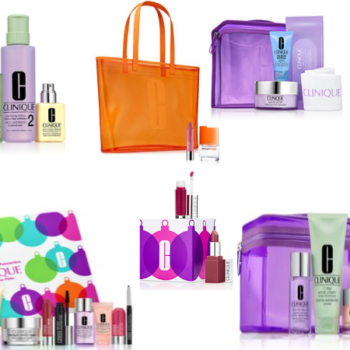 Clinique fans, hurry over to Macy’s and score some fantastic deals on multi-product sets! Get the Festive Favourites set for $49.50 w/ $29.50 purchase. Plus you can grab the Best of Clinique set for $49.50 w/ $29.50 purchase. 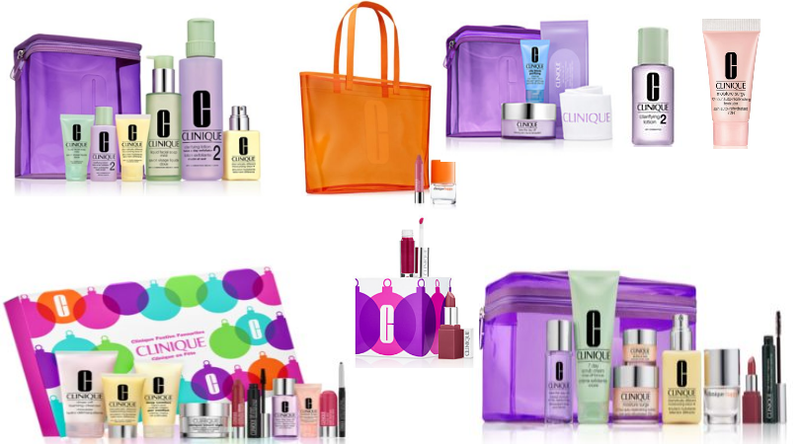 Then you get a free 3 piece deluxe gift that includes a tote bag, Happy perfume, & lip chubby. You will also score 2 more freebies in checkout to include deluxe moisture surge and deluxe cleanser. Here’s how to score this deal! Find your $29.50 in products and add to your bag. Go to checkout and add one (or both) sets to your bag. Free gifts will automatically add to your bag. Use code FRIEND at checkout to take 15% off and it ships free!